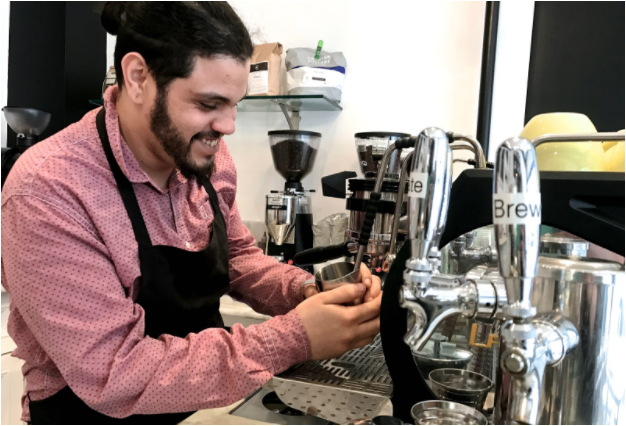 This is the first in a series of features on the Baristas of Cover That Shift–an on-demand service where you can book experienced baristas for next-day availability. 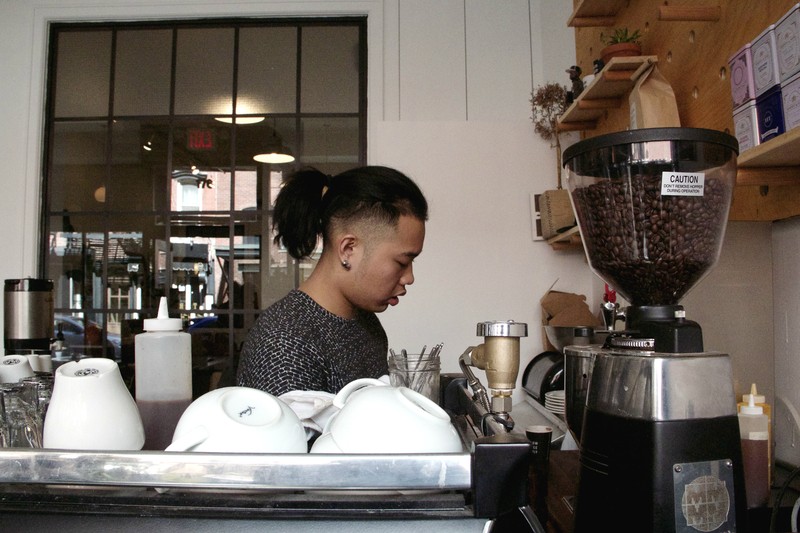 These are just a few of the talented baristas that we work with in New York City. For more details about Cover That Shift, or to book a shift, head here. What was your first experience drinking coffee? Describe it. My very first experience of drinking coffee would probably be when I was 17 and working at a Dunkin’ Donuts around my neighborhood. I absolutely needed it to get through my day, due to partying the night before. I literally remember how warm and sweet it was, and yet it had that bitter adult taste that I’d always associated with my parents or other grown-ups. This, along with beer and making your own choices, all stemmed from me feeling more like an adult. It was like my first indication that I had matured. What do you drink when you are not on the job, aka what do you brew at home? Who is your favorite roaster? What roast? When I’m not working (which is rare), I usually brew Ludlow Coffee Supply at home. I like to taste the roasts we create because I created the flavor profile for that particular roast, and in a way like to consider that my assessment of quality control. It’s a dark roast Kenyan. What is your favorite food to pair with it? I’m strictly a pastry person when it comes to pairings with coffee. What is your favorite drink to make? And then to drink? My favorite drinks to make are flat whites and lattes, but to drink I’m all about that iced coffee! What would you be doing if not for this? 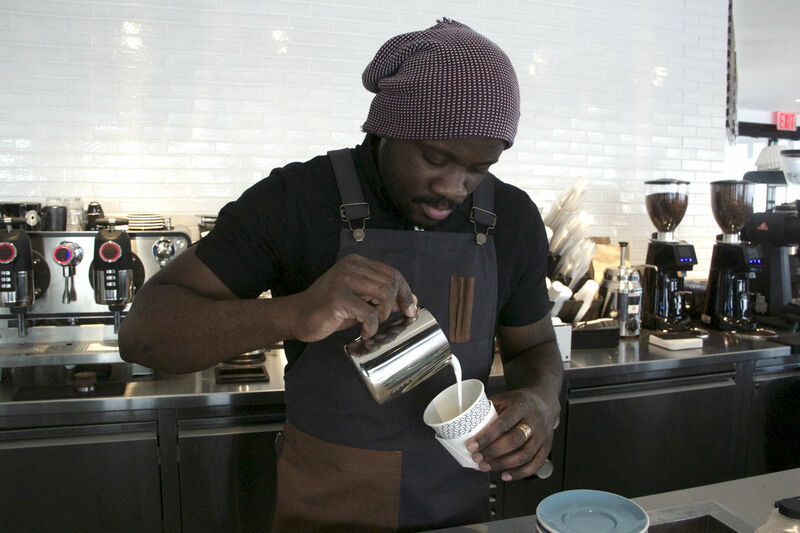 Good coffee, personable people, awesome tunes and a sense of community. What initially brought you into the barista profession? And what makes you stay? I fell into it. What makes me stay is that it was the first real thing in life that showed me if you put in the hours and work behind it, you can actually get better. Coffee gave me a lot; it brings me familiarity and peace wherever I am. My first experience drinking coffee was my mom’s Nescafe instant coffee. I used to drink it with condensed milk. I was not allowed to, but I did it when she was not looking anyway. When I was a kid, there was a coffee field where we played. Living in NYC now, coffee is a part of everyday life. So I feel right at home making coffee here. 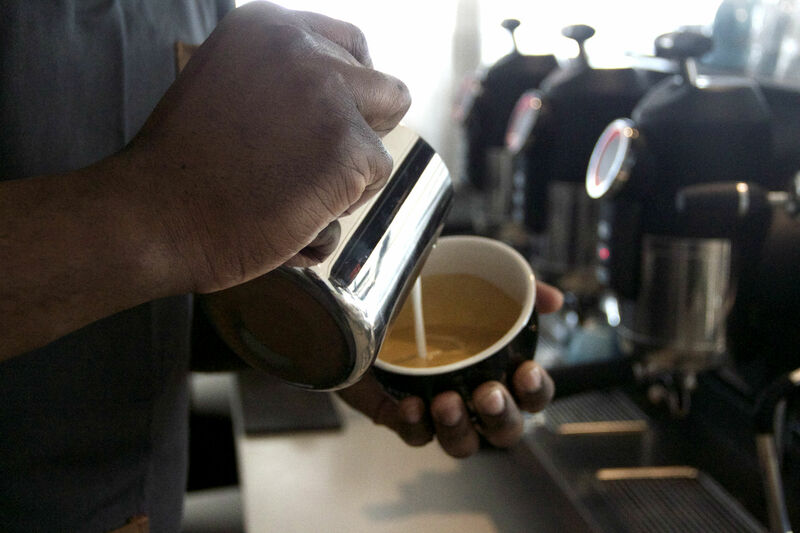 What do you love about being a barista? I love making coffee and interacting with the customers. I DJ at night, so coffee is my day time thing. What music do you play in the cafe while working? When I am not at work, I like to drink Silverton. It’s a pour over. I find that it really brings out the notes of the coffee. But my favorite roaster is La Colombe; they have been a constant since I was first introduced to their coffee. Oh, and the single origins are amazing. My favorite drink to make is a macchiato. 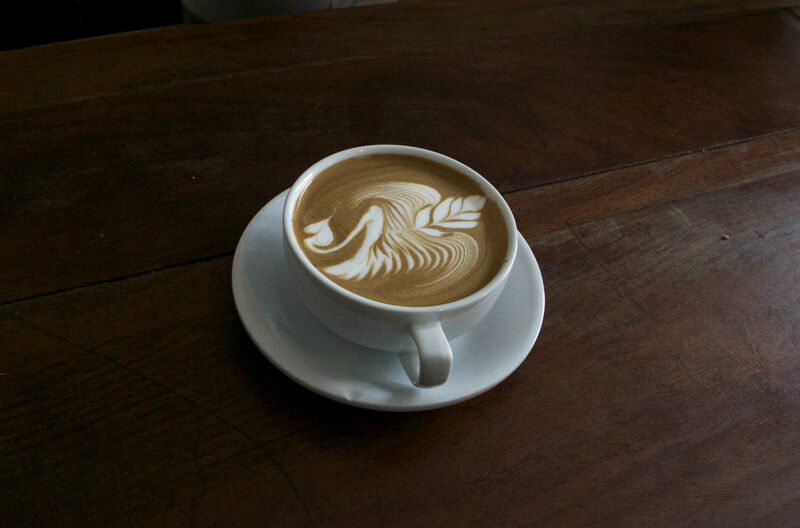 You have to pull the perfect shot, steam the foam so it is perfectly textured and doesn’t just sink into the cup. Although it is simple, just espresso and foam, I think it is the true test of the barista. My first experience drinking coffee was pretty bad! I never understood why someone would drink something so bitter with no flavor. I personally don’t brew coffee at home, but my favorite roast is Stumptown Coffee. But I enjoy any bold coffee! 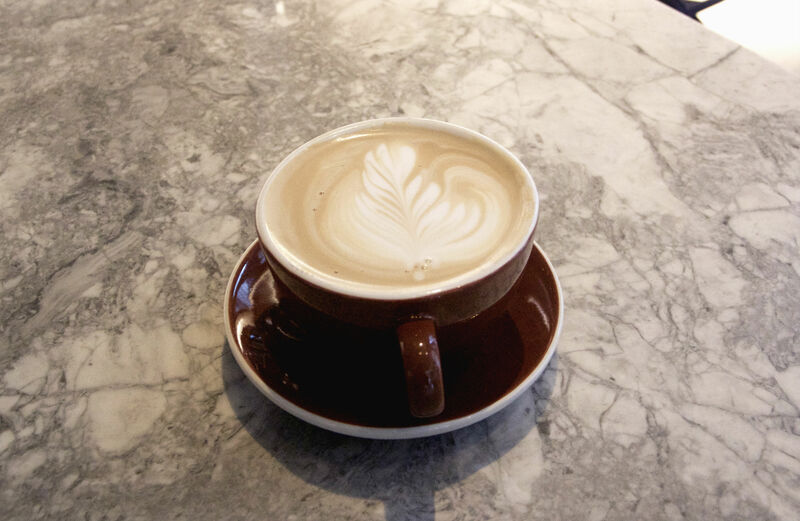 Dark chocolate goes well with a perfectly-made cappuccino. Definitely R&B, but any Drake song will be on my dream playlist. The coffee, of course. But also a quality barista that knows how to connect with people. Honestly, Starbucks is what brought me into the barista profession. But what keeps me here is the feeling I get when I get to work everyday. The relationships that I make. Plus the fact that being a barista has increased my confidence with people and has helped me with other aspects of my life. I actually first had a latte and was addiction for about 6 months, until I started working with Starbucks. What do you drink when you are are not on the job aka what do you brew at home? Who is your favorite roaster? What roast? I have a little espresso machine at home and I am currently using Emma’s Espresso from Birch Coffee! 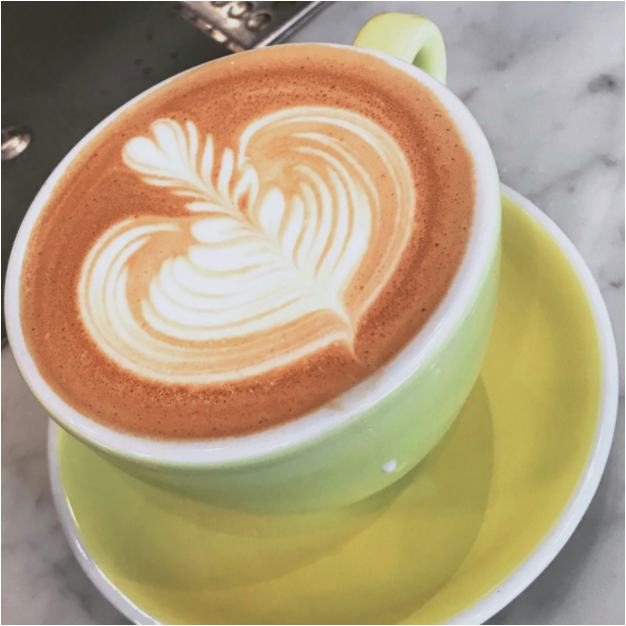 Macchiatos – the hearts are so perfect, I love it. Jazz Cafe in the AM and pop hits in the afternoon. 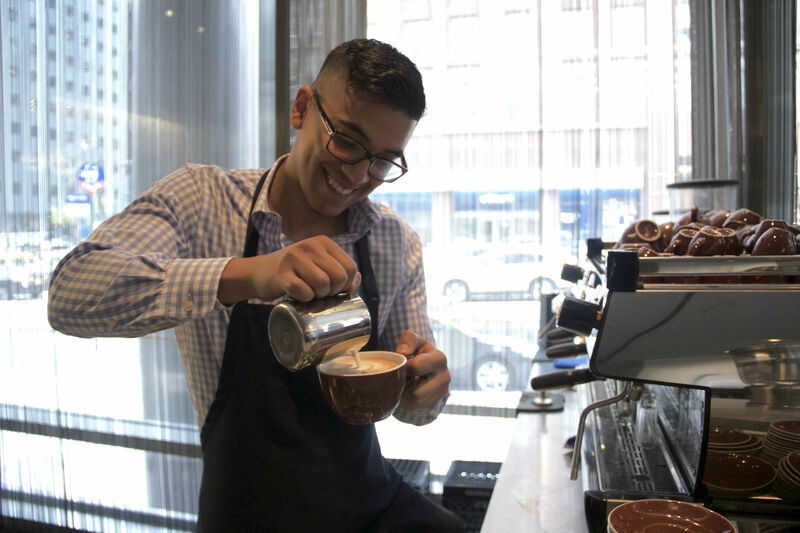 I needed a job at 18 and landed a job as a barista for HMS Host at JFK airport. I did that for 6 years plus, and I have never looked back. I would be cooking. I do so in my cafe now anyways; I actually helped design the food menu.